Add a little additional charm and beauty in your home today with this fantastic antique French mirror. 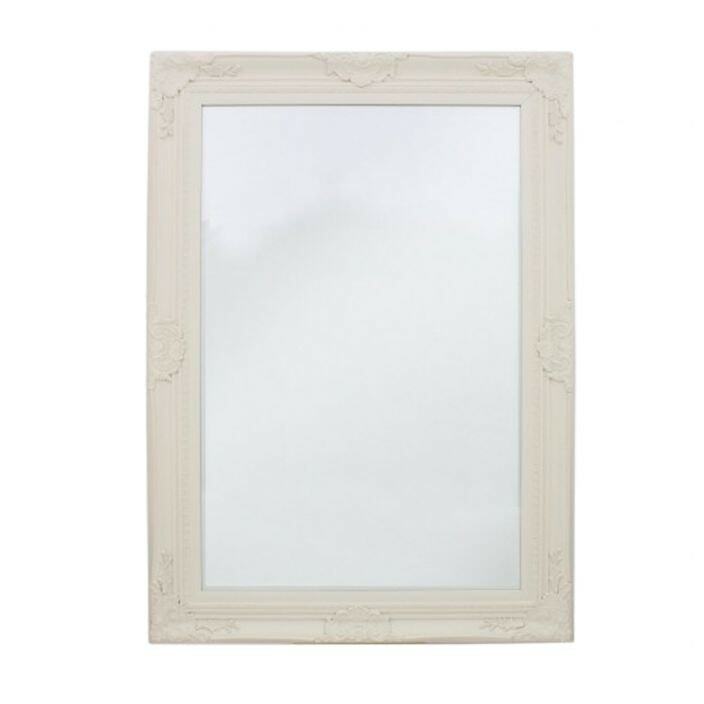 Featuring ornate detailing on the frame, this ivory mirror is fantastic both in appearance and practicality. Handcrafted by experts using the finest of materials, this wall mirror is sure to impress, working exceptional either as a statement piece on its own or complimented alongside our stunning shabby chic furniture.